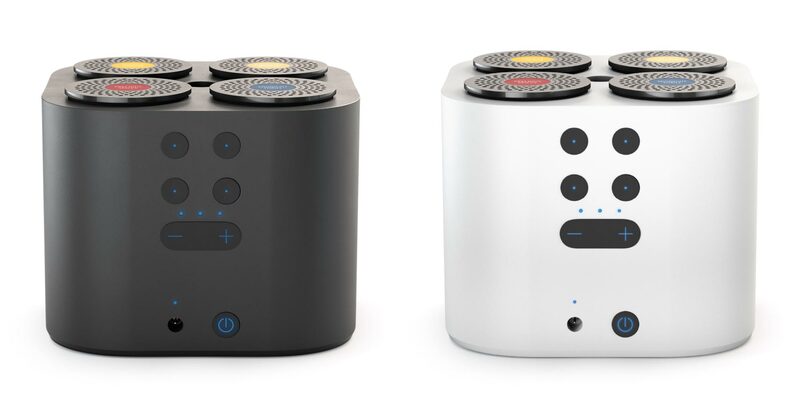 It’s not only the smartest, connected aroma diffuser. 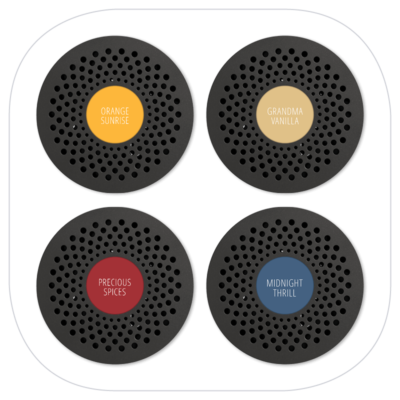 It is the only diffuser that allows you to shape and customize scents according to your mood. 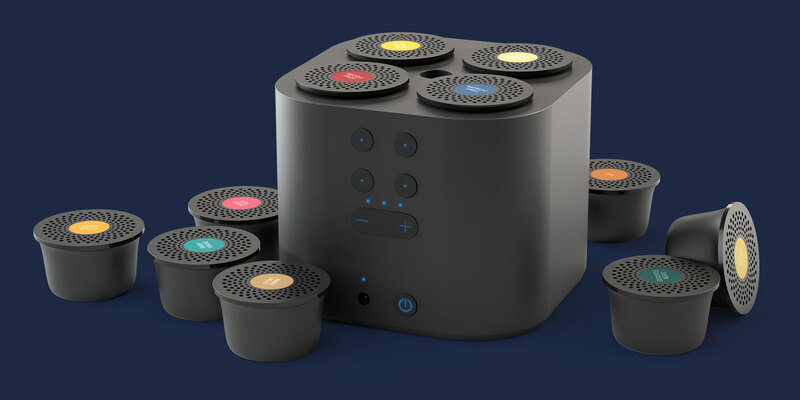 Moodo® is a one of a kind aroma diffuser that can be loaded with up to 4 Moodo scent capsules simultaneously, from a selection of dozens of unique high-quality fragrances. Scent is personal. 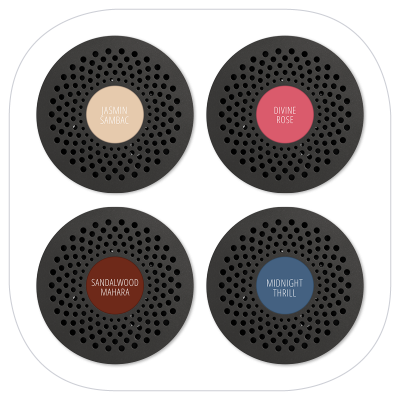 Choose your fragrance capsules from Moodo’s wide variety of high-quality fragrances: pick one of the pre-set mixtures proposed by the Moodo app, or use the free Moodo app to mix 4 fragrances and create your own unique scents. … or have fun creating your own scents! wake up to citrus fresh and unwind with lavender slumber… effortlessly! 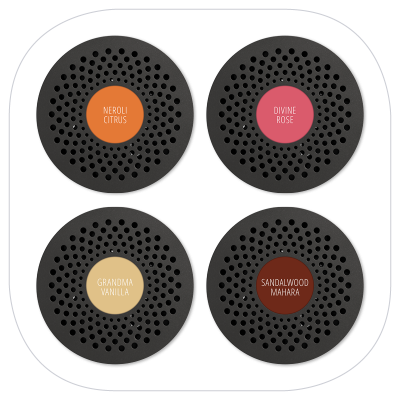 Convenient and easy: Moodo fragrance capsules are arranged in scent families. 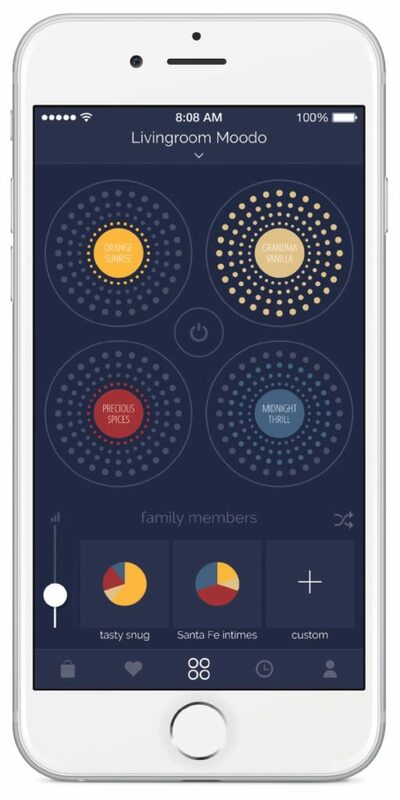 Each scent family is a pack of four capsules which are compatible & harmonized to create a wonderful scent in any mixing selection. Moodo fragrances were created by our expert perfumers and are produced exclusively in Grasse, France. Our fragrance capsules are long-lasting, alcohol-free, eco-friendly and cruelty-free. match the scent in your schedule and lifestyle. 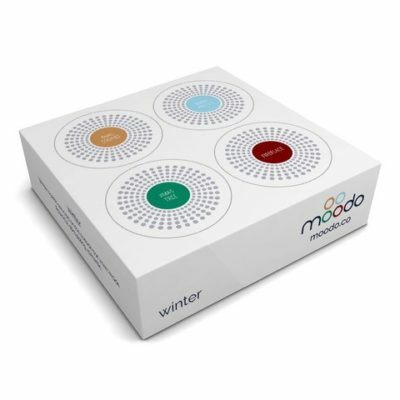 Choose 4 interchangeable Moodo scent capsules, each good for at least 60 hours or about two months of use for most users. Cold-air technology Air flows into each scent capsule and gets mixed inside, using our unique patented technology. Homogenous fragranced air is then vented out of the center outlet. 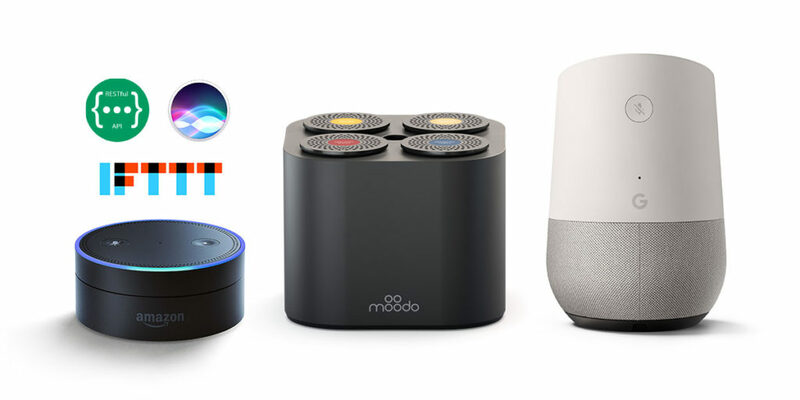 Download the free Moodo app in order to connect Moodo to your wifi network and enjoy a variety of cool features! 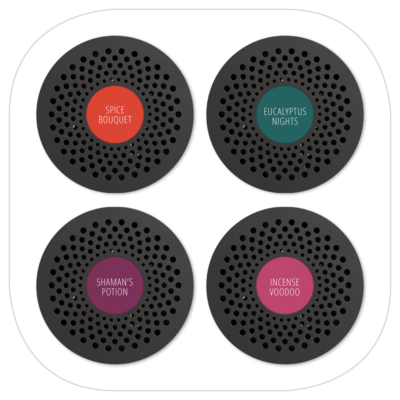 Use the app to select preset combinations that work well with your choice of capsules or adjust each fragrance intensity to explore and create your own signature scents. 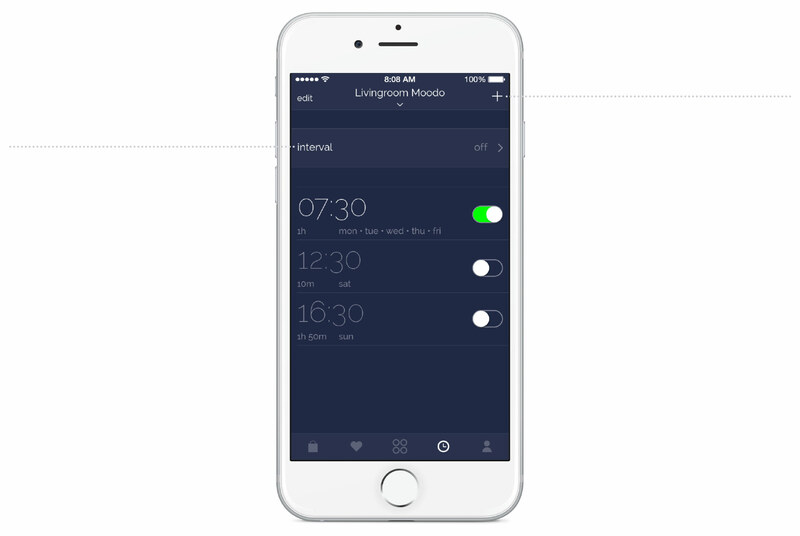 Moodo’s timing features enable scheduling operation, timing around wake-up, smart saver and efficient options and more. 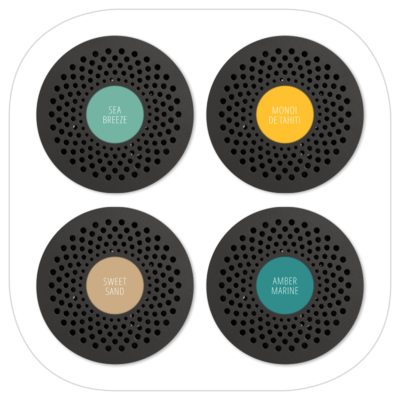 no more waste: each scent capsule lasts much longer! 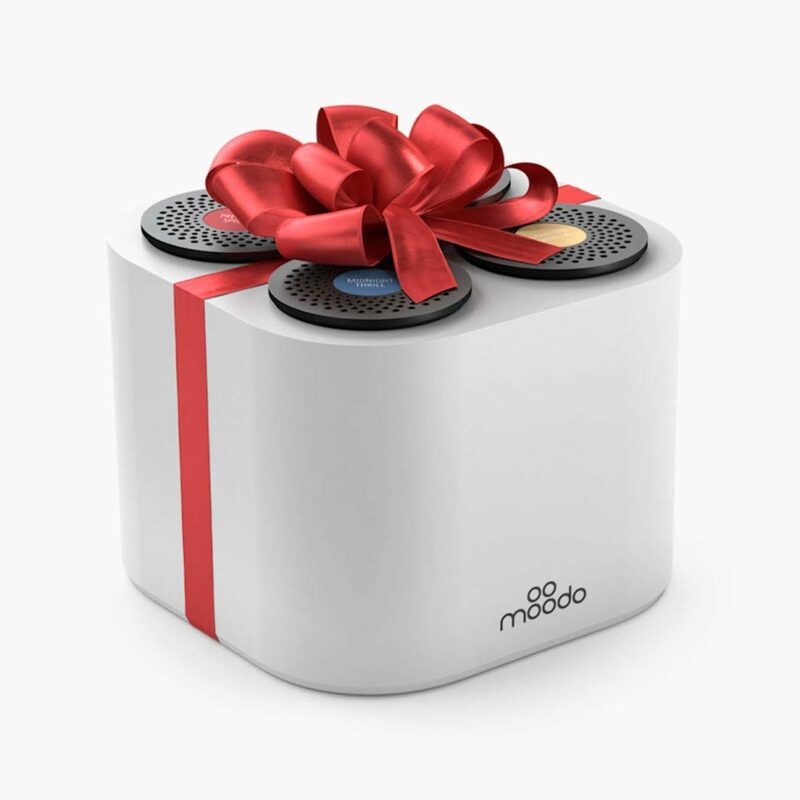 With Moodo, you can make sure the fragrance will diffuse only when there is someone there to enjoy it. 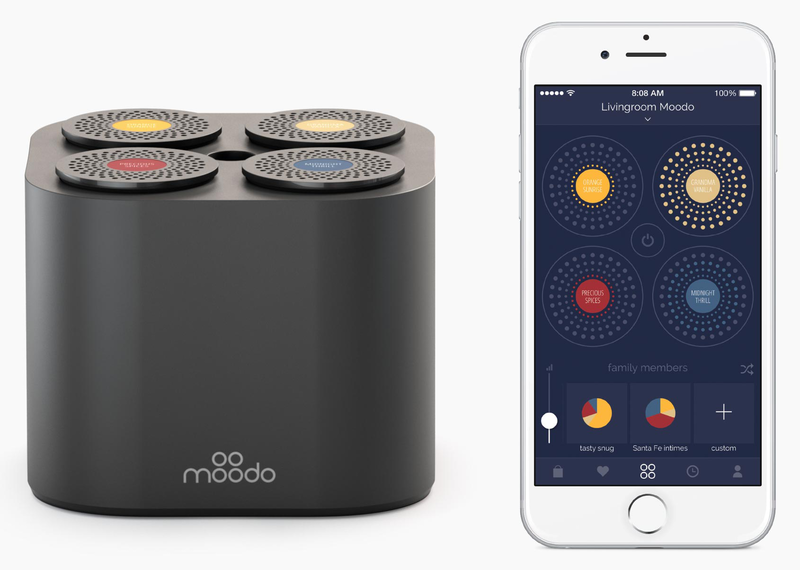 Moodo capsules last for 60 hours. 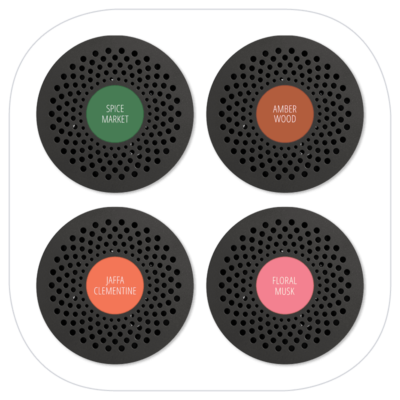 Thanks to Moodo’s smart features, the capsules can actually be used for a long period of time! release scent at time intervals to ensure efficient use of the scent. Your space will be well-scented, but not more than you need. 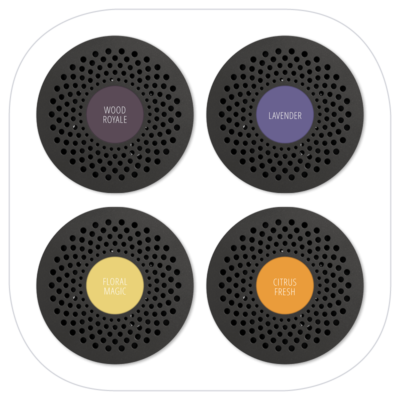 set your aroma diffuser to work automatically, according to your need. Set it up once and don’t worry about it – your home will be scented exactly at the right time. 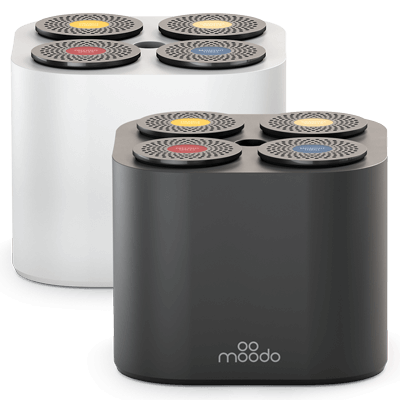 You can come home and say: “Siri, my favorite scent please!” and Moodo will immediately ll the room with the right fragrance to get you in the right mood!